*Fuel savings based on independent testing by PIT Group of FPInnovations during the 2018 Energotest campaign. 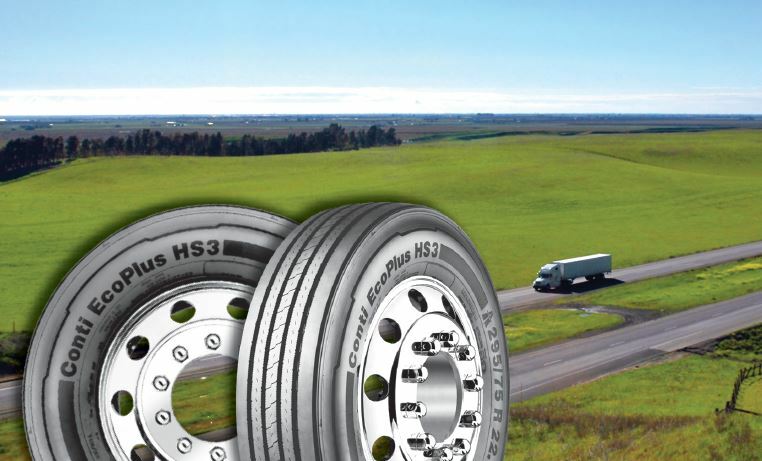 Conti EcoPlus HS3 delivered fuel savings when used on the steer position with HDL2 drive and Conti EcoPlus HT3 trailer tires, vs. Michelin X-Line Energy Z steer tires, D drive tires, and T trailer tires. All tires tested in 11R22.5 size. Actual on-road results may vary. Conti EcoPlus HS3, up to $25 per tire. Valid in Canada. While supplies last. Must trade in a physical copy of this magazine ad to receive a certificate for free tire installation of Conti EcoPlus HS3, with a value up to 25 CAD per tire, while certificate supplies last. Have a question or concern about this promotion? Complete the form below and one of our representatives will assist you.